Riverford is an organic farm set up by Guy Watson. They’re champions of seasonal, British produce and 100% organic. They now deliver recipe and veg boxes to over 47,000 homes every week. I wanted to try the vegetarian one and was delighted when this arrived on my door. As with other recipe boxes you get everything you need to make three recipes apart from oil, salt and pepper. 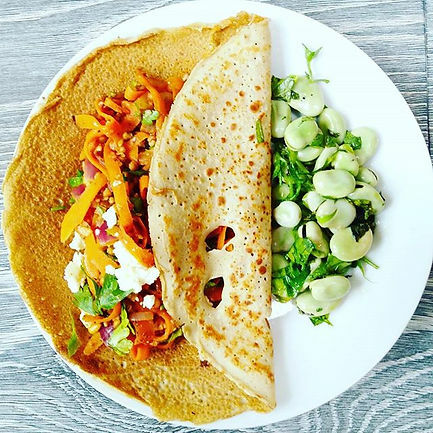 My three recipes were: Moroccan Carrot & Buckwheat Crêpes, Jerk Chickpeas & Roasted Peppers with Callaloo and Potato & Wet Garlic Tortilla. Unlike other recipe boxes, you know that all your veg is coming from the same farm in Devon. You know it’s in season and organic. It’s a great way to try new ingredients out in the kitchen. I’d never had wet garlic before and I’d never used herbs like chervil. 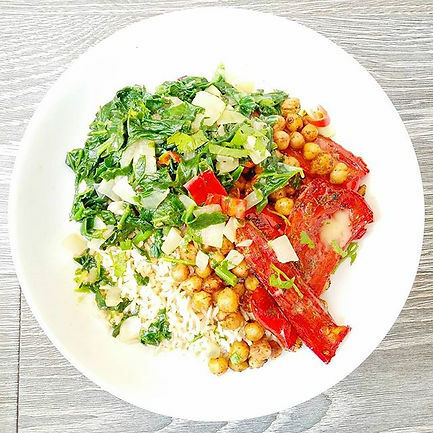 The veg is all top quality and you can really taste the difference between Riverford and supermarket veg. The recipes were all tasty and exciting. The Jerk Chickpeas was my favourite! You get Riverford’s ‘A-Z of Veg’ which is a really useful pocket guide to awesome vegetables! £33.95 for 3 meals for 2 seems a bit pricey to me but having looked at other recipe boxes on offer, this is cheaper than the competition! HelloFresh’s box is £36 and Gousto’s is £34.99 and they don’t provide organic produce with the same providence. New customers do get offers too. The recipes took a minimum of 40 mins each and some people don’t want to spend that long in the kitchen. They’re also not entirely suitable for beginner cooks: things like tortillas and crêpes can be a bit tricky. 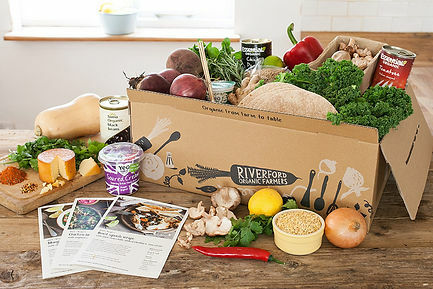 Riverford deliver you all the ingredients for fantastic country kitchen meals. You’ll need some time on your hands and a bit of cooking knowledge but the end result is great. I particularly love how, by buying their boxes, you’re supporting a UK farm, producing beautiful veg rather than having ingredients shipped from all over the world. Oh, and if you’re wondering where a picture of the third recipe is…my effort looked like crap so I didn’t bother taking it’s picture. It was delicious though!